The amount of new money committed per year is in fact less than phase one of the mental health strategy. In the first three years, new money was supposed to escalate from $76 million annually to $93 million in the third year. In the next three years money will start at $65 million and escalate to $83 million per year by year three. That means less new money going into mental health initiatives. Further, it gets us precisely nowhere towards meeting the Mental Health Commission of Canada’s target of committing 9 per cent of health funding towards mental health. In 1979 mental health in Ontario represented 11.3 per cent of provincial health spending. Today it is at 5 per cent. Steve Lurie, Executive Director of the Toronto Branch of the Canadian Mental Health Association, recently pointed out that Ontario would need to invest $160 million annually in new mental health funding to set the province on an albeit lengthy path to reach the 9% target. That amount would represent a third of 1% of Ontario’s health budget, but would dramatically increase access to needed services and supports. The new advisory council certainly has its work cut out for it. As usual, that panel is devoid of any participation by organized labour or much in the way of front line mental health workers. What would they know dealing with patients on a day-to-day basis? There are 11 CEOs and Executive Directors on the panel, a deputy police chief, six doctors, a single nurse practitioner from the north, one “psychiatric survivor” and one Arthur Gallant. Arthur Gallant is a self-proclaimed mental health advocate with lived experience with mental illness who has been blogging on the topic for the Huffington Post. Gallant has been a Youth Council Member on the Mental Health Commission of Canada and presently serves on a provincial collaborative advisory group at CAMH. You can meet Arthur by clicking on the video at the top of this blog, where he appears to be stocking shelves for Target. With this very staid company, Gallant will likely keep the panel interesting. We hope he serves up a good helping of his experiences on his blog. The panel will be chaired by Susan Pigott. You may recall Pigott served on the Drummond Commission while employed as part of the senior leadership at CAMH. That Commission advocated for increased access to gambling as a way to address the government’s economic woes. Now Pigott chairs a panel that gets to deal with – among other things – the addiction fallout from that gambling. Amazing how these things come full circle. Perhaps the Wynne government can next appoint Tim Hudak or Mike Harris to chair a panel on rebuilding public services. The new mental health and addictions panel will provide advice on investments, promote collaboration across sectors and report annually on the strategies progress. We can hardly wait. This entry was posted in Uncategorized and tagged Arthur Gallant, CAMH, Centre for Addiction and Mental Health, Dr. Eric Hoskins, Mental Health and Addictions Leadership Advisory Committee, Ontario Mental Health Strategy, Ontario Shores, Royal Ottawa, Steve Lurie CMHA, Susan Pigott, Waypoint. Bookmark the permalink. Thanks for the reality check on the $$$. The announcement was emailed to staff at my employer as if it was a sea change rather than a drop in the bucket. Keep on keeping them honest! 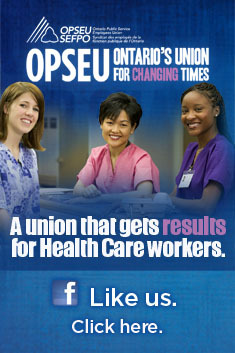 THE SAME GOV THAT PROMISED THE PSW A RAISE.I WORK FOR MARCH DIMES CANADA AND DIRECT FUNDING AND NEVER GOT THE RAISE.